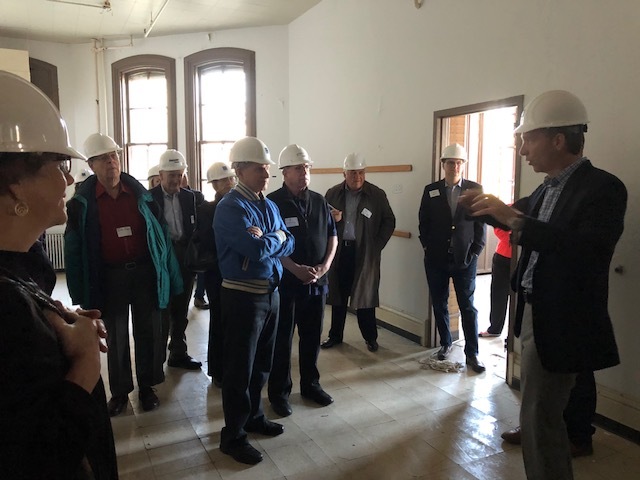 Special thanks to everyone who joined us on a Tyrotarian tour of the Milwaukee Soldiers Home on April 25th. Our Club recently committed $50,000 from the RCM Community Trust to the restoration project. Click here to read more about our commitment. Rotarian Scott Ramlow of Uihlein/Wilson – Ramlow/Stein Architects, Inc. led members on the behind-the-scenes tour.